Fiscal worries are back to haunt India’s sovereign bonds just after they posted the best quarter in four years. 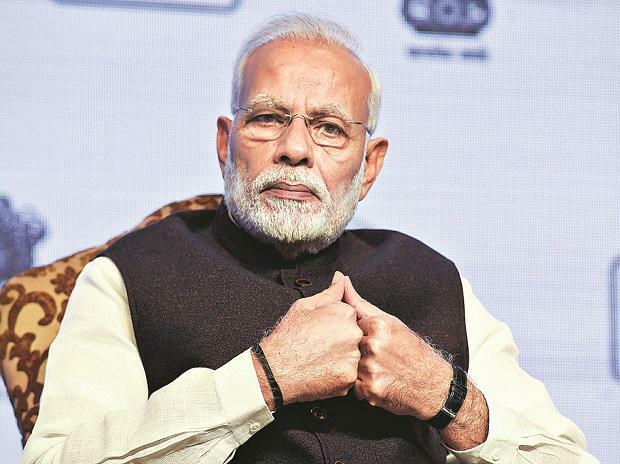 Prime Minister Narendra Modi’s party, which recently met with electoral losses in key states, is said to be preparing to unveil a farm-relief package ahead of general elections due by May. The prospect of substantial aid for farmers at a time when the nation’s tax and asset sales collections are lagging estimates is stoking fears that India may miss its fiscal deficit target. Modi is studying three options, including a cash handout for farmers, people with knowledge of the matter said, as his administration seeks to shore up support ahead of elections. A Reuters report last week put the cost of such a package at as much as Rs 3 trillion ($42.7 billion), sending bond yields higher. Revenue under the goods and services tax will likely be Rs 1 trillion less than the government’s target, and this may push the fiscal deficit to 3.5 per cent of gross domestic product, according to Kotak Mahindra Bank’s estimates. The government has repeatedly said it will meet its budget shortfall target of 3.3 per cent of GDP for the current financial year. Yields on the 10-year benchmark bond dropped 66 basis points last quarter as a slide in crude oil prices eased concerns about inflation and the central bank’s large-scale debt purchases boosted liquidity. Several states have also announced farm loan waivers, which will lead them to borrow more from the bond market, potentially adding to supply pressures. State governments will borrow as much as Rs 2.3 trillion this quarter, above market estimates. “While market is not expecting the fiscal slippage for current fiscal to necessary translate into extra borrowing through dated securities, the uncertainty with respect to next year’s fiscal target might warrant a cautious approach till the budget in February,” said Kuldeepsinh Jagtap, senior vice president at ICICI Securities Primary Dealership Ltd.